My friend Debby moved to Greenpoint, Brooklyn this month and I have been helping her move and unpack. Greenpoint is like Williamsburg was 10 years ago, which is probably a lousy example if you don’t live in NYC, so to clarify, it’s a traditional old neighborhood that is slowly become very trendy, but still has lots of mom and pop stores, reasonable rent and feels on certain blocks like nothing has changed in 70 years. One of the reasons such prime real estate on the east river so close to Manhattan has remained so quiet is because of how hard it is to get to: so close yet so far! The only train that goes there is the mysterious G train which only runs in Brooklyn and only connects with the F (sometimes) and the L. So otherwise you could try transferring from an M in Queens but also not on the weekend on the weekend you’d need to take an E then transfer to the G….maybe you can tell I’ve had some transit frustration in getting to Debbie, given I don’t live near the L and my forays in trying to get there on the F have met with considerable difficulty. Anyway all this to say that the impervious nature of getting there has kept Greenpoint in a quaint stage of feeling untouched and of another era. The other little thing that has kept Greenpoint from becoming hipster central like his brother to the south Williamsburg is a huge underground oil spill which is finally being clean up 30 years late. My solution to the often unreliable and complicated nature of getting there is to walk. One stop on the JM or Z trains leaves me in South Williamsburg and at a good pace I can be at Debbie’s place in 30 minutes. Along the way I can enjoy the sites. 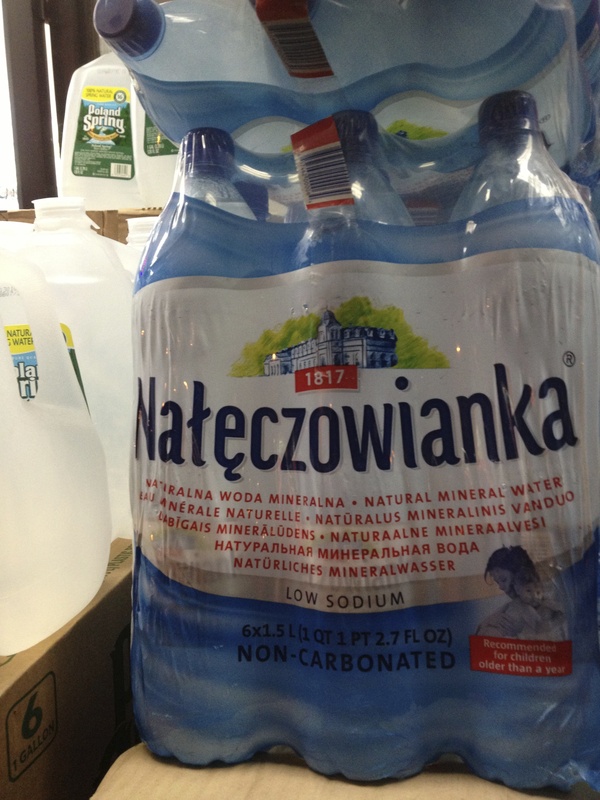 The other night I was walking south back to the J train on Manhattan Avenue when I started noticing incredibly large displays of bottled water sitting on the sidewalk out front of grocery stores. I knew that Greenpoint had a large Polish community and had made note of the many Polish restaurants I wonder by some of which with big time old world aesthetics like this place but I had really explored the grocery scene. 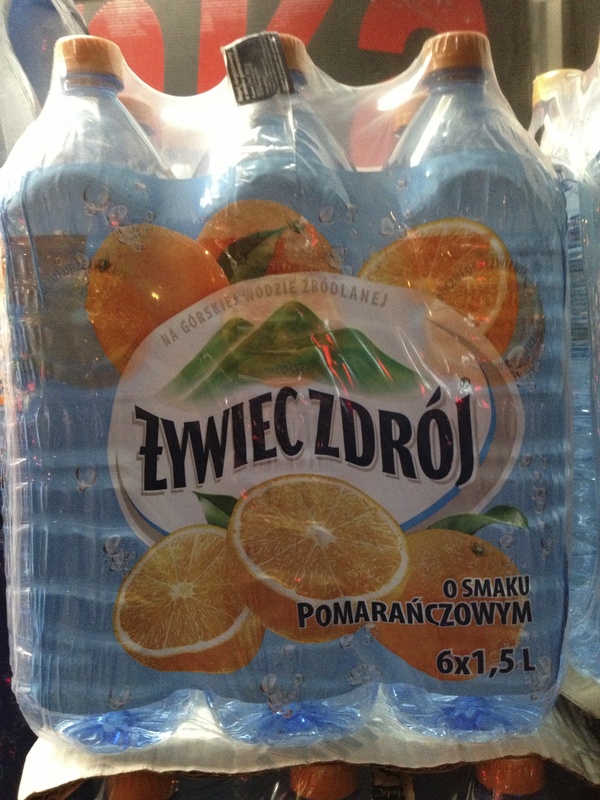 At one store alone I saw 4 different kinds of Polish bottled water. 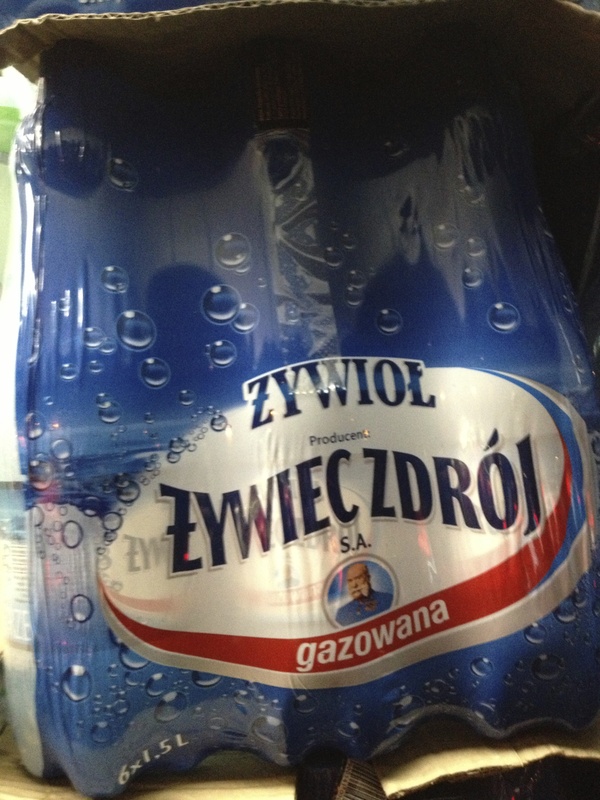 Who knew bottled water was so popular in Poland that they had to import it all the way to NYC? Had I bothered to go in I’m sure I would have found bottles of sour cherries, frozen blintzes and tons of wonderful kielbasa and look forward to exploring the Polish food possibilites in Greenpoint. 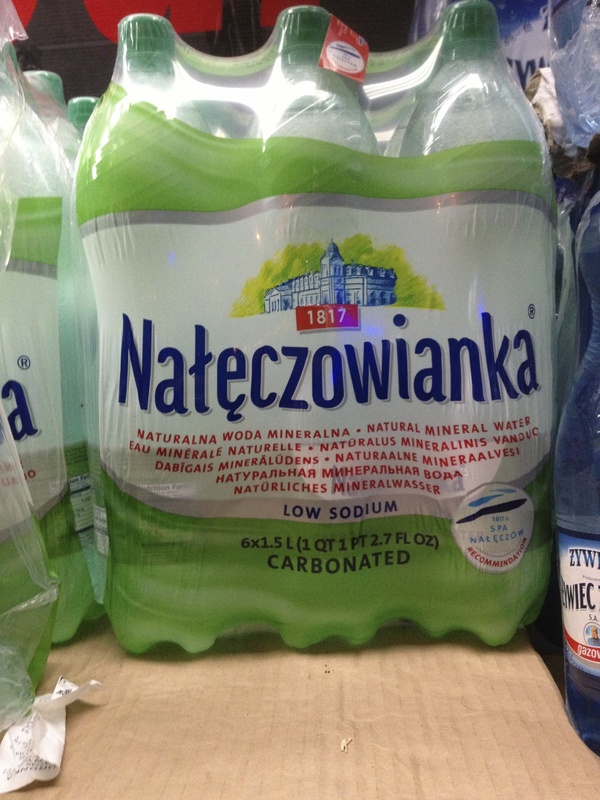 I did do my heart good though to notice that although imported authentic water was very popular they still carried one domestic brand: Poland Spring. This entry was posted in NYC, Other Stuff and tagged bottled water, brooklyn, G train, greenpoint, krolwskie jadlo, MTA. Bookmark the permalink.